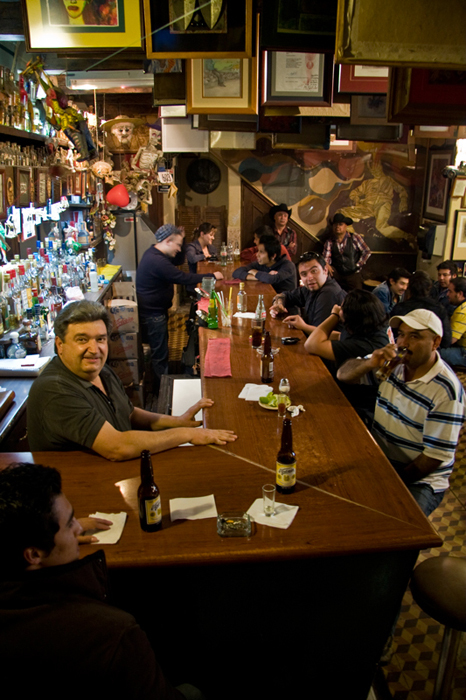 Tuesday night, ten o’clock, sitting at the end of Los Quince Letres’ bar, the stools are mostly filled, and the people sit at the tables and sing along with the jukebox. The jukebox is playing something in Spanish I don’t recognise, a ballad, something Frank Sinatra would sing. 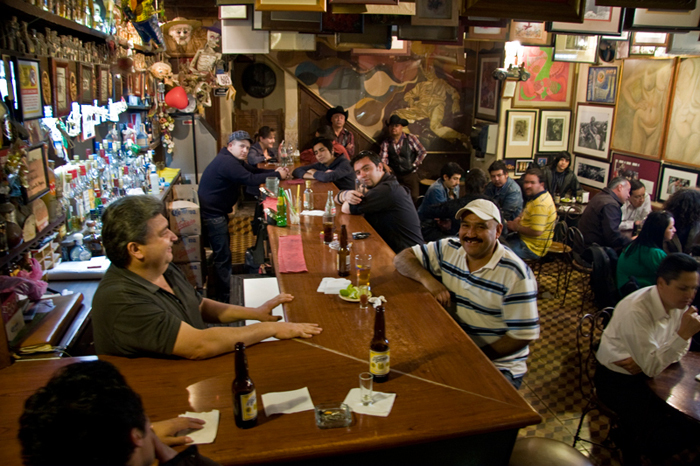 Late some nights at The Saloon, when it was only Us Locals, we would connect arms and sway to “Sway” back and forth at the back of the bar and everyone would be smiling and laughing and singing. I asked my new-found-friend of ten minutes, what was playing on the jukebox, he answered: Jose Alfredo Jimenez, a Mexican crooner from the 60’s, 70’s and 80’s. I made an offhand comment that all Mexican songs have the word ‘corazon’ -Spanish for heart- somewhere in it. He agreed. The bartender came down the bar and joined in the conversation, and my friend tells him I was asking about the music. It seems that the bartender knows that Frank Sinatra did not write his own music, and Jimenez did. The bartender smiles, “Neil Diamond, Si, Si. Love on the Rocks,” gives me a large smile, and walks off to open more beer. 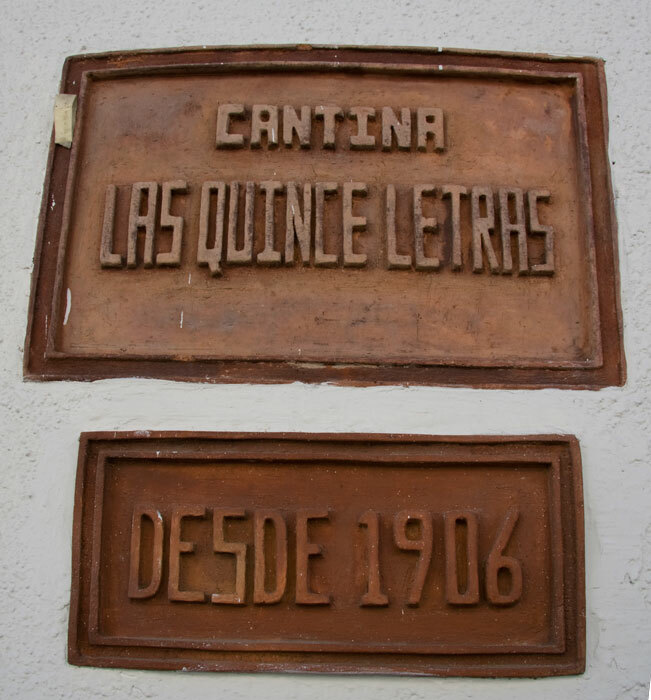 Tuesday evening at Las Quince Letras, with almost unseen paintings hanging from the beamed ceiling, the two singers standing on the back wall, and a beer, and empty shot glass and an ashtray in my position. 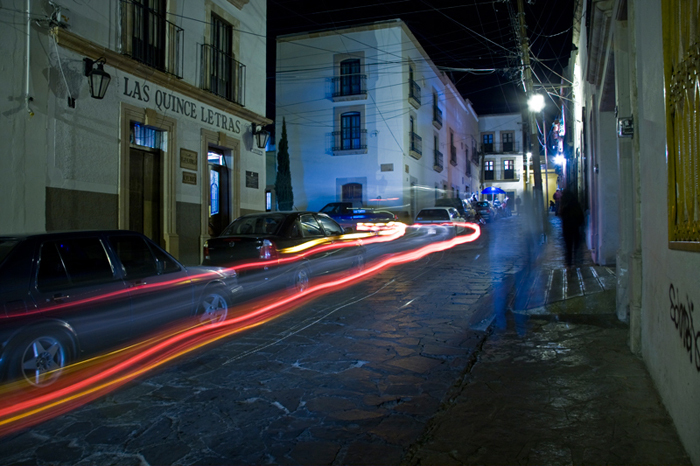 Outside of Los Quince Letres on Tuesday night.